A disappointing start to the season for both the Oklahoma City Thunder and the Charlotte Hornets combined with the attempts of the Brooklyn Nets to try and get rid of expensive deals on their payroll might lead up to a massive three-team trade that will include Lance Stephenson, Brook Lopez and possibly even Kendrick Perkins among other players. The Nets are open to a lot of moves, but Lopez is probably the only one of their expensive players that teams are willing to look at. He’s averaging only 14.6 points per game this season and is a poor rebounder, but is one of the better big men in the league when it comes to scoring in the paint and playing with his back to the basket. Any team needing inside scoring and willing to take his $15.7 million deal (and $16.7 million on a player option next season)? It seems the Thunder are. Who else moves in this trade? 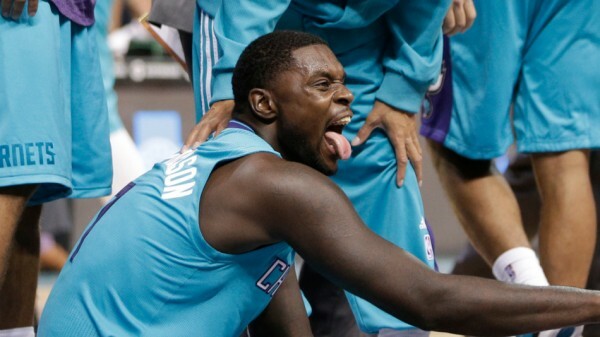 Lance Stephenson, a player the Hornets have been trying to trade for over a month (but won’t go in the Josh Smith direction which seems to have worked well for everyone, despite the unpopular move of cutting a player in the middle of the season and taking the cap hit through the flex exception), is averaging only 10.1 points per game this season, and is on a $9 million deal for two more years after this one. He’s a Brooklyn native, but if it means losing Lopez to the Thunder and also Jarrett Jack to the Hornets, the Nets are willing to take the long term deal. What do the Hornets get out of this? Besides Jack (10.8 points per game, $6.3 million per season through the 2016-2017 season), there’s also Jeremy Lamb and Grant Jarrett from the Thunder. Lamb hasn’t made progress this season, but on a team that needs outside shooters to stretch the floor more than anything, he might be able to find a better place and spot than the Thunder provided for him. Jarrett is just a cap filler for the deal. Another name on this deal is Kendrick Perkins. The Thunder, now that they’ve moved him to the bench, have less and less need of his $9.6 million salary. He’s not a bad player to sign for the Nets as his contract expires at the end of this season. The Nets might actually make the playoffs this season but it’s more important for them to start moving expensive players than actually succeeding on the basketball court this season.